I have not disappeared. Really! 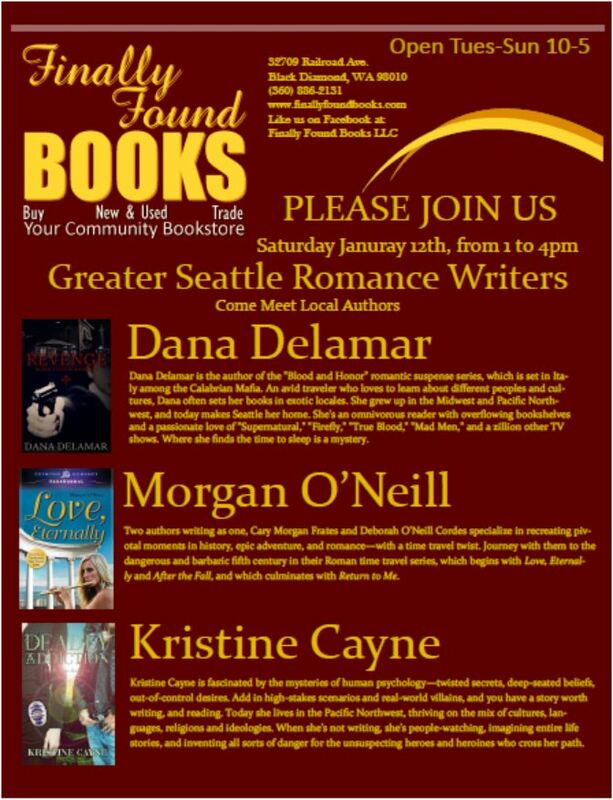 In fact, I will be at Finally Found Books on Saturday, along with several other great local authors, signing books. Meanwhile I have been brainstorming the last book in The Soulstealer Trilogy and should begin writing it in the next few weeks. In other words, I am running out of excuses not to. It is very difficult to start a new book, but I know once I get started I won’t stop. This entry was posted in On Writing and tagged book signing, Fae Guardian, Fae Hunter, fantasy romance, Finally Found Books, indie author, marketing, writer, writing. Bookmark the permalink.